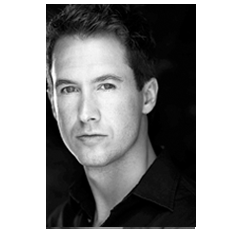 Tom Solomon has starred in many West End and international productions, including THE PHANTOM OF THE OPERA, LES MISÉRABLES, CHICAGO, WEST SIDE STORY, CHESS, ONLY THE BRAVE, INTO THE WOODS, SIDE BY SIDE BY SONDHEIM, SCROOGE and GLAMOROUS NIGHTS. He created the role of William Hogarth in PLEASURE’S PROGRESS for the Royal Opera House in Covent Garden, and made his Broadway debut in THE ENCHANTED PIG for the Young Vic. He regularly performs in radio and televised events, including Talk Radio Europe Telethon 2016, The Hub for Gibraltar Broadcasting Corporation, Hello, Dolly! for RTE Radio, and the National Concert Hall in Dublin, Lord Andrew Lloyd Webber’s Birthday Concert, The Princess Diana Memorial Concert, Blue Peter, Children in Need, Good Morning Ireland, BBC Radio 3’s In Tune and BBC Radio 2’s Friday Night is Music Night. He studied at the Birmingham Conservatoire and the Royal Academy of Music in London, and was the winner of the prestigious international BBC competition The Voice of Musical Theatre which led to performances in America, Australia, Fiji, China, South Africa, and across much of Europe. He recently released his debut solo album, Beautiful Day, which went straight to number 1 on the iTunes Classical Charts.